Being a top-notch company in the industry, we offer our clients an extensive range of Organic Baby Products that are chemically stable and non-allergic in nature. Our entire product line is GOTS certified and is available in different colors, sizes and designs. 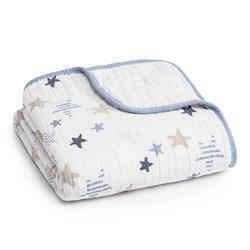 Our product range includes Baby Cots, Baby Crib Sets, Baby Blankets, Baby Bibs, Baby Bumpers , Sleeping bags. We also provide Fairtrade certified products. 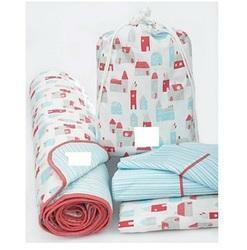 Toddler beddng set is made of cotton. Fabric material- woven, jersy, interlock.Printing- Screen Printing,rotary printing,chest printing,digital printing.Color- As per customer specification.Style- Printed.Size- As per customer specification. 100% organic cotton baby muslin wraps. We can provide in different colors, dyes & prints as per your requirement. (2) Any size can be customized. (2) packing methods can follow customers’ requirements. 100% cotton quilts with an option of cotton,wool or microfiber filling. 100% organic GOTS & FT certified quilts also available. Product Description: Times Fibrefill brings very innovative quilts, comforters, duvets/doona, mattress pads/protectors keeping in mind the comfort and warmth of the highest level. We offer creative and customized product to add value and superior performance to your needs. We have our in house processing plant to produce: 1 GOTS Certified Organic cotton & Kapok beddingThese are sourced from natural resources, free from chemical toxin. These are stuffed after combing and are made in padding Form by light needling to avoid short fiber migration. Kapok is a fibre consisting of 80% hair. It is therefore one of the lightest fibres available, water resistant and high insulator. Kapok therefore cools in summer and stores body heat in winter. 2 Cashmere merino Lamb wool bedding,We use an exceptional type of pure wool for our high quality quilts & comforters.it has a very fine and frizzy properties which makes it an exceptional filling material.These comforters are incredibly soft,warm and cozy.It is a fine, pure,moisture regulating,tighly curled wool retaining warmth.wool is naturally hypoallergenic and dust resistant 3 Camel/Yak hair paddingCamel Hair These hairs are hollow bamboo shaped hairs having an excellent breathabilty and flexibility.Its special and very fie structure makes camel hair perfect material for making a cozy and comfortable garment with a balanced moisture and temperature level. Yak Hair :It is one of the best breathable very soft neutral Ph stong hydroscopic and non care hair which maintains its permanent fluff without any smell and mouldness for a long time. We have state of art Processing plant comprising of carding and cross laper, computerised Single needle & Multi needle quilting to offer new designs as per the customers wish. We have kept our tradition by retaining trained and specialized women workforce to provide you hand crafted quilts. Looking for “Organic Baby Products”?